[INQ. NO. 1508E17] Established in 2001, APET has recently started pioneering overseas markets with its advanced highly competitive Bluetooth device. While the conventional Bluetooth devices are focused on expensive and passive, APET’s Bluetooth device brand “SOAP” is focused on outdoor activity emphasizing casual style. Operating overseas sales networks including offices in the United States, Japan, China, Taiwan, Singapore, and Malaysia, APET will further provide its valued customers with its high-quality systems based on world-leading technology. Now, APET is doing its utmost to be responsible for Bluetooth’s best-quality level, and to fully satisfy all of its customers’ demands such as quality, delivery date and prime cost. [INQ. NO. 1412E14] Established in 2007, INFITECH has developed UV LED illuminant exposure unit, industrial computer, and storage device by utilizing the accumulated technologyin terms of electric & electronics sector as well as enhanced parts improvement for the semiconductor/display field through parts localization. Of the top-notch products, the semiconductor track facility can be used for UV LED illuminant which is a light source from surrounding exposure facility of the display instead of mercury lamp; additionally is not only environmentally friendly low carbon green growth, but also is able to reduce maintenance costs. 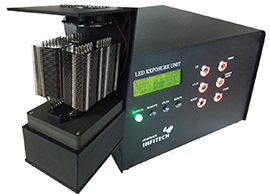 The company’s LED light source edge exposure unit is based on semiconductor wafer or display glass peripheral part using UV LED illuminant. It ensures reduced maintenance costs, low consumption power to replace environmentally friendly LED instead of mercury lamps. It has a longer life cycle than the existing mercury lamps. The immediate exposure is available after lighting without warm-up time. The significant reduction of energy cost is possible by using low consumption power by using LED illuminant. It is used at such various fields as semiconductor photo process track equipment, display photo process titler edge exposure equipment, etc. Other flagship products by the company include PCB main pattern exposure unit, curing unit, etc. [INQ. NO. 1410E03] The LED light for parking lot facilities developed and manufactured by Myung Do Electric are provided in various models of LED 30W, LED 15W, LED 19W, and LED 10W. The sensor is applied for the functions of dimming and ON / OFF function. 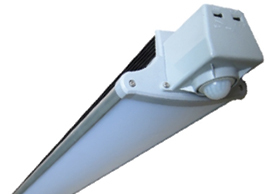 This product is a substitute for the existing raceway or pendant-type fluorescent lights, and reduces costs by over 80% compared to the existing fluorescent lights. With its luxurious design, the LED light by Myung Do Electric provides high-quality lighting effect. Also, eco-friendly materials are applied for the green environment. Moreover the LED light maximizes energy-saving through top efficiency, and the lifespan is over 50,000 hours, which is approximately five-times higher than the existing fluorescent light. Myung Do Electric specializes in the development and manufacture of LED lights for parking lots, down lights, LED plate lights, and waterproof-type fluorescent lights. Through the long accumulated experience and know-how in the field, the company leads the market in supplying cost saving and highly efficient products into public facilities such as parking lots. Reel Tech is a venture and INNO-BIZ company that produces lighting equipment. With over 12 years’ experience in innovative technology, Reel Tech has developed an LED light and remote controlled lifting system. Reel Tech has been expanding overseas business with reliable partners. The remote lighting lifter from the Reel Tech enables the lowering of luminaires, speakers, cameras, fire & smoke detectors, banners and items from the ceiling to the ground electronically via wireless remote control where they can be safely & easily maintained. The product is available in a range of models to suit a variety of applications with lifting capacities ranging from 2 to 1000kg. The benefit of the lifter include savings in both time and money on maintenance, and avoids the costly interruptions associated with equipment such as scaffolding, ladders or cherry pickers, which are typically required to access these items on the ceiling. Growing calls for energy conversation the world over are fuelling the increasing popularity in LED lighting which promises bright prospects for Reel Tech. Reel Tech has developed commercial and industrial LED lighting with outstanding low energy consumption, five phase dimming control, and more. As exchanging data wirelessly prevailed, people began to appear using wireless gadgets on the street. Now nearly everyone is carrying them everywhere. The fact that they are cordless and still working is fascinating. Bluetooth technology is catching their eye as well. Using this wireless addition, Korea’s APET introduces SOAP. SOAP means “Wireless Freedom.” It seeks and aims for a free-spirit lifestyle. People can listen to their favorite songs while being active. For example, they can ride a bike or jog around the park and still can enjoy music. Believe it, SOAP-b, a round-shape Bluetooth device with a built-in MP3 player, sets you free. Its 110db Bluetooth headphone comes along. It is time to indulge in “Unlimited Freedom of Youth.” APET’s SOAP-t is designed for bike riders. It glows brightly with a LED light and plays music with speakers. For avid music lovers who frequently ride, SOAP-t is a must-have bike part. APET is working on new Bluetooth technology, and claims full responsibility for Bluetooth quality and customer satisfaction. In Seoul, people often seek some places to visit and enjoy nights. There are over 20 Han River bridges, and some of them turn into structural beauties when evening time arrives. Multiple colors, overarching or in many different shapes, shines and blinks along with spraying water for aesthetic purpose. Such a breath-taking sight certainly is worthy of hundreds of visitors every night. And Korea’ Image Light, as a landscape lighting installer, makes it valuable hundred times or even more. Founded in 2002, an illumination maker, Image Light, has been around and busy offering various types of distinctive illumination contents in Korea. Especially, night scenery illumination items for many government buildings and public structures have been fairly attractive, which somewhat also makes a great deal of contribution to the rapid development of Korea’s tourism and architectural industry. 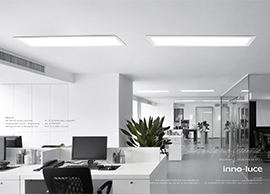 Image Light creates and leads a new lighting culture and its industry with integrated LED lights and the next generation’s digital illumination. There are major four business areas that Image Light is specialized in: scenery illumination, scenery illumination design, scenery illumination plan, and scenery illumination construction. In order to present Seoul as a dynamic and global city, the firm has designed and installed diverse types of lightings around the city. Their artistic illumination works are outstanding at night, and create a wonderful sight to see. You can find them around Dongdaemoon, Sejong Center, Han River bridges, Samchenpo Bridge, etc. Image Light can improve your home’s overall look and image as well. You can find more at imagelight.co.kr/eng/landscape-lighting-installers.asp. If you want more information about ‘LED Lights’, please contact us. As Korea’s die-casting specialist, YOUJIN TECOR launched its business in 1998. By having manufactured a number of different industrial parts for several industrial sectors, the company has been seeking to outrun its competitors, not only at home but abroad as well. YOUJIN TECOR has also carefully installed the latest manufacturing line and hired talented people for better quality, high precision, and high performance die-casting products. Its digital door lock item has dominated over 60% of the market in Korea. Noticeable products are solenoid body and parts for gas appliances, automobile parts, hardware & machinery parts, computer (HDD/FDD) parts, and camera parts. Responding to both external intrusive force and visual effect is vital for any digital door lock. In order to meet the double demand of visual preference and mechanical performance, YOUJIN TECOR has put production and quality management in place for the proper combination of functional quality and the visual configuration. Its own well-known brand “Gateman,” YOUJIN TECOR’s signature digital door lock, is a rightful choice for such requirements. LED lights as the next generation lighting give off heat effectively without giving rise to any mechanical difficulty while emitting its light. YOUJIN TECOR’s LED light heat sinks are designed to facilitate heat production with efficiency. The structure of the heat sink is technologically sound as it can offer stability and the exceptional capability of producing heat. You can find various different sizes available. YOUJIN TECOR’s display stand component is for the lower part of LCD monitors and LED TVs. Comprised of hinges, bottoms, and brackets, this item is popular with Japan’s major display maker such as TOSHIBA, SHARP, and PANASONIC. You can find more information at uj-tecor.koreasme.com. If you want more information about ‘Die-casting’, please contact us.